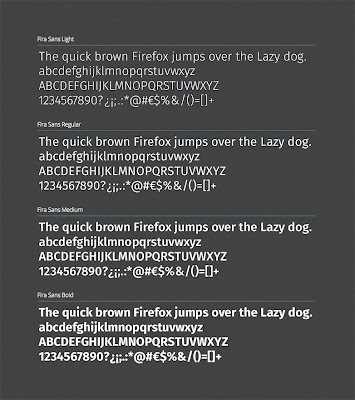 The Mozilla Foundation has been with us for many years, but they just recently made their own font Fira Sans free to download. The Fira font family comes in a Sans Serif with 4 weights (light, regular, medium and bold) all available in italic styles and to top that package also includes a Mono Spaced variant with 2 weights (regular and bold). The aim of this font family is to cover the legibility needs for a large range of handsets varying in screen quality and rendering. 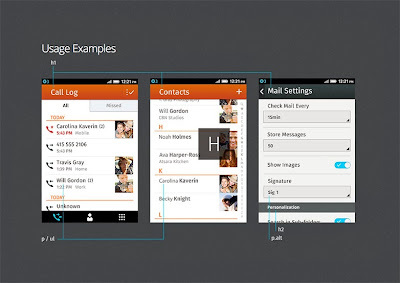 It's a great approach by Mozzila as Firefox is also available on so many mobile platforms it's necessary to have a clean, clear, easily readable font that looks great on anything. As we tested it's quite right was Mozzila says about this font - text by Fira Sans is clear and easily readable at large and small sizes - to summarize it's a crisp, clean font, and a very good move for the Mozilla brand.